What experiences do you have to share with others and what value do you offer that only you can provide? Because, if you can’t easily and clearly articulate your vision or the purpose behind your work, you will never be able to convey its importance to others. It’s not enough just to be good at what you write. You need to be able to create an emotional connection with your reader – often before they’ve had a chance to read your book. How you position your work, how you distinguish yourself from others in your field or genre, as well as how all your efforts are perceived or interpreted by your readers, can be the difference between a brand that’s fab, or one that fizzles. Effective branding is foundational to the development of your writer platform and audience-building efforts. The author who can tap into what their readers yearn for – and construct an entire experience around what they crave – is the author that earns the devoted fan base. It’s a bit naive to think that you can win any acclaim as an author, and avoid having a brand. We are always being judged, assessed and evaluated by others. People will interpret your work, your relevance and the value you offer by what you intentionally – and unintentionally – share. From your social media updates, blog posts and article contributions, to your podcast interviews, author collaborations or your newest release… Everything adds to the bigger picture of who you are, and what you can bring to the table. And as your sphere of influence and visibility increases, so does the number of people who have the opportunity to form an impression about you. Whether you’re actively building your personal brand or not, it’s happening. So, why not be deliberate in shaping the direction it takes? Your brand doesn’t have to feel cheesy, packaged or restrictive. In fact, if you’re purposeful in your brand planning from the beginning – even before you publish your first book – you can frame yourself and your work in a way that is satisfying to both you and your future readership. Your author brand is an ongoing, continually evolving story that communicates what makes your work unique, and represents an implied promise to your readers of what they can expect you to consistently deliver. If you can elicit an emotional reaction in a reader, and emphasize what makes your work unique, not only will you stand out from the crowd and gain recognition from readers, but you will earn their loyalty and trust as well. Your “brand story” (and how well you tell it) determines the strength of your brand – the impact of which is measured by the ardor and devotion of your fans and supporters. A strong author brand is a credible signal of quality to book buyers, which means more authority, more influence, and even premium pricing. As you increase the perceived value of your personal brand, your brand equity rises. Successful authors shape and manage readers’ perceptions by controlling the message. That’s why a powerful author brand is designed – not stumbled upon by accident. You must envelop readers in an experience, from the moment they come in contact with you, to after they buy, and beyond. The concept of branding, however, isn’t what most writers struggle with. It’s the application. How do you actually build an author brand? With the expansive growth of social media, and tech advances that help multiply reach and increase access, even the smallest of businesses, with the smallest of budgets (authors included) are able to grab and hold the attention of their target audiences in a very impactful way – through brand storytelling. And guess who’s uniquely qualified to capitalize on this strategic marketing opportunity? Well that’s convenient. Might you possess just such skills? Then with the right mix of branding fundamentals (which we’ll explore below), and an intriguing, emotional and well-crafted brand story, you can expertly build a memorable and meaningful author brand. When it comes to building a compelling author brand, there are two main areas that require your focus: brand identity and brand awareness. There is no point in marketing and promoting a brand you have yet to crystallize, so your first step is to very clearly define your brand identity and purpose. Only once you have this nailed down can you confidently promote – and have your readers champion – your brand. This is where you pull together the visual, written and in-person brand elements that support (or tie in with) your brand story, the needs and desires of your readers, and your personal objectives for your writing career. Again, it’s not just what you say, but how you communicate your message to your audience that makes an impact. It’s also important to note here, that there is a difference between brand and genre. Be careful not to over-invest in the stylings and look of one particular genre, unless you’re certain that it “fits” with your brand strategy and story longer term. Main logo – graphic or font based. Brand colours – choose two to three main colours (get the hex codes so you can use your exact brand colours when designing your own graphics). Brand fonts – one main or body font and one accent font. Brand style elements – patterns, icons, graphics or other style elements. Brand tagline – your highly concise mission statement. Website/blog – functions as your author headquarters. Does your about page, contact page, book/sales page, blog categories, navigation menu, blog posts and website design all convey a consistent (and accurate) brand message? Set up social media accounts with on-brand design – same or similar handles/URL’s and consistent platform profile photo and description. Social media graphics and image templates – Facebook and Twitter covers; logo/URL watermark (to add to all shared images). Professional headshot and additional photos – consistent across all social media profiles, and for use on your about page and within your media kit (or press page). Business cards and other printed marketing materials – old school, but still effective. Blog post image templates – compelling (quality) images that reflect a cohesive brand style. Other visuals – book covers, photography, illustrations, screenshots, quote graphics, book artwork and video. Email – email newsletter template or other email graphics. Domain name and professional email account. Once you have your brand story and other brand elements defined, the next step is developing a plan to promote and solidify your brand in the eyes of readers. How will you demonstrate the feelings, values and unique qualities that you want attributed to you and your writing? How will you grab your reader’s attention or pique their interest? What are other authors doing in your genre or niche? What are their competencies and how can you position yourself and your work differently? Identify your goals and objectives. Everything you write or create should be moving you closer to these goals. You need to know where you are trying to take your readers (the buyers journey), and create goals and objectives for your content that will move people to action. Content strategy – your publishing plan of action for your books, blog, social media, audio, video and email list). Capitalize on each platform’s strengths to share different aspects of your brand story. Brand style guide – create a brand style guide that includes your brand specific fonts, colours, brand elements, patterns and imagery style, so that all your marketing materials are consistent and at your finger tips. Ideal reader persona – by drafting a detailed reader persona, you establish a framework and a way to focus your efforts for reaching and connecting with your “people” – those who’ll benefit most from your work. Digital media kit – a marketing package for your book that makes it dead simple for the media and others to feature you and your work. Lead magnet – a “can’t-say-no” email opt-in incentive that builds your list. Street team – word-of-mouth is the best form of promotion there is, so nurture your growing legion of raving fans and supporters with extra perks and benefits. 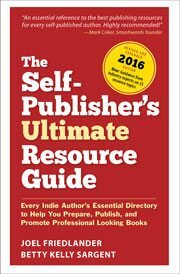 Collaboration – build your network and join forces with other authors and industry influencers. As your brand evolves, you’ll need to gauge your audience’s interest and ask for their input and feedback along the way. Continue to build brand equity by continuously re-evaluating, refining and growing your brand reputation. You can also consider additional markets and audiences you can tap into, additional platforms you can develop, or additional books or series you can write. Even sub-brands – that target multiple genres and different pockets of readers with distinct colours, types of imagery, logos, different promises, and different positioning – are a possibility as you continue to grow your author brand over time. Just note that before adopting sub-brands, you need to ensure your offerings are not in conflict (writing erotica and children’s books, for example). You’ll also need to decide if you can afford the creative and time costs required to build and maintain each sub-brand. What Will It Really Mean to Build a Powerful Author Brand? A well-defined author brand acts as a guidepost by which you position and gauge all your activities, objectives and goals. And, from your readers’ perspective, your author brand accentuates the experience of your writing and creates a memorable encounter that – ideally –they’ll seek out again and again. If done right, a powerful brand will build your reputation as an author and assure your marketing success. What are your thoughts on building a personal or author brand? How necessary do you feel it is to the success of your writing career? Good day Kim nice post by the way and I surely don’t believe that building an author brand is necessary to be successful a writer. but as for me i don’t know anything about book writing but it surely want some exceptional skills to establish that i don’t know whether i have or not. besides i need every information about everything as a new blogger if i am aware of all types of articles then one day i would be a good blogger so your ideology will definitely help me in future. Thanks for sharing with us and keep writing like this. Oh and I really look forward to all your posts and materials this year, here’s to 2016! Kim, can I expand on one of the items on your excellent list? Nine out of 10 author websites don’t include a shipping address, phone number or email address in an easy-to-see location on the homepage. This is also part of your brand. Thanks Kim, another wonderful post. I was wondering if you can recommend a step by step marketing plan that can be tailored that aims to drive readers and subscribers, an in turn build my brand? Everything you mentioned under the ‘Promotion’ section I agree with, but do you recommend a specific time frame to implement those strategies? I suppose what I’m looking for is a plan that will help me structure how I market/promote myself. So for instance, on Monday I should use Twitter. On Wednesday I should put up a blog post. That kind of vein, something that I can follow methodically. In my mind the marketing plan should go for at least 3-6 months. Ultimately the whole point of this is to not only create awareness of my writing and brand, but build my email list. Thanks for the positive feedback, Maggie! As for a marketing “schedule”, it’s difficult to get too specific, as there really isn’t a one-size-fits-all plan of action that will suit the needs of every author. But keep this in mind: your marketing strategy must be tailored to fit your target audience, your goals and objectives, your market (trends and issues), your “competition”, as well as your resources or finances. And EACH book should have its OWN marketing plan. A list of marketing tactics or to-dos aren’t enough – you first need to develop a thorough book marketing plan to get your book into the hands of your readers. Any marketing tactics you adopt (i.e., when to post on Twitter), should be considered and evaluated AFTER you have a clear book marketing plan in place to guide your decisions. Thank you so much ! I totally agree that writing, like anything else needs to have a business focus. Yes you can hope that word of mouth will give you amazing sales but you should still take a more serious hardline approach and do everything you can to drive up those sales. Wow is this concise and powerful! I spent several years, a lot of time, and even money to learn most of what you have here. What an awesome resource. Think you could make a printable check-off sheet of the bullet points to tack up somewhere? Some, like picking colors, you need to have on hand long term. I have a file with both my brand’s Hex and RGB values in DropBox along with my portrait and brand photo (dreaming about a logo at this point). I can’t imagine how complex this would get with a team. Plus, keeping things like Build a Street Team in view helps when motivation to stay engaged gets low. I need my people, and it will be worth it long term to stay in touch with them. I’ll be tackling “author branding” in-depth on my site in the new year, so I’ll make sure to include a printable cheatsheet or checklist with the post/video (thanks for the idea!). Good for you for having the beginnings of your style guide in place, and you’re right – it gets much harder to ensure a consistent message as you add more people to the mix (author assistant, web designer, street team, etc.). I don’t believe that building an author brand as you describe it is necessary to be successful a writer. Indeed, when I look at your “Brand Identity Checklist”, I don’t adhere to any of these. I like to do things my way. For example, I make my websites intentionally ugly just to show that an ugly website can get a lot more traffic and be a lot more profitable than so-called “Professional Websites.” Marketing guru Seth Godin recently did a brief blog post agreeing that the ugly websites normally get more traffic and make more money. By concentrating on writing books that do just that, I don’t have to worry about all the aspects of author branding. Once I write a great book, I then utilize truly unique marketing techniques that 99 percent of writers are not creative or smart enough to come up with. This helps get the book into the hands of many readers, who then generate a lot of word-of-mouth advertising that keeps the book selling well not only for several years, but for decades. Thanks for your feedback Ernie, although I’d like to respectfully respond to a few things from your comment. You note that you like to do things your way – which is fantastic AND the essence of what building your own unique author brand is all about. The less you “follow the crowd” in this regard, the stronger your brand, and the clearer your message and value to your readers. Should you agree with this perspective, then optimizing your site for one or the other of these worldviews is – once again – a brand choice. Now all that said, I certainly don’t presume to have all the answers. And authors have succeeded despite paying little to no attention to their “author brand” (although that’s often the exception, not the norm). I actually have between 75 and 100 unique marketing techniques that I have used over the years. for more ideas for the new edition of his book “1,001 Ways to Market Your Books.” So I sent him a few of my own marketing techniques — which I didn’t think he would use. Surprisingly (to me), he did a blog post about some of them. Thanks for sharing a few of your tips, Ernie, and I agree – following the pack will not help you stand out as an author. But many writers do not have the intrinsic business savvy that’s required to market and promote their work, and require a framework for structured creative thinking, as well as some tools and guidelines to minimize their struggle – which is what I hope to provide. Kimberly, sure we can meet. I frequent the Starbucks at Chapters/Indigo on Whyte Avenue from around 3 PM until 7 PM almost daily. Email me about when you want to meet using my yahoo email address listed on my websites.